In order to prepare for an adoption home study, prospective adoptive parents strive to ensure that their home is safe for children. The home study can bring up a lot of safety questions that may have been overlooked before, including whether or not you have an evacuation plan in place in case of emergency. You will not be required to show any evacuation plans during your home study. However, you will be required to discuss fire escape plans with your social worker. 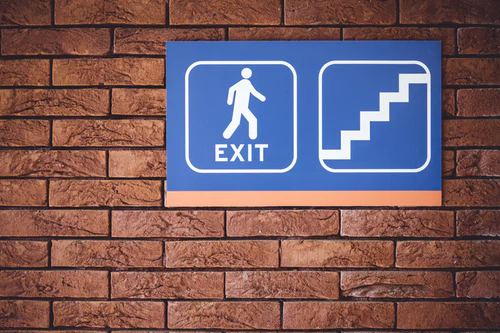 Regardless, having a detailed evacuation plan in the event of a disaster can help to prevent serious injuries from occurring. It is important to do research on the area that you live in to find out what, if any, disasters are common in your region. For example, the state of California has recently been ravaged by forest fires and is known for its earthquakes. A resident of the state should have evacuation plans that deal with both of these disasters, specifically. Creating an evacuation plan can be overwhelming, as it feels like there are unlimited possibilities to consider. However, it is imperative to remember that your plan’s number one priority should be that everyone gets out safely and unharmed. The following is a list of factors to consider when you are creating an evacuation plan for a natural disaster. Location: There is no guarantee that, in the event of a disaster, your entire family will be in the same place. For this reason, an evacuation plan should list the place that you and your family will meet up during or after the disaster. This can be at a relative’s home, a hotel, or even a public park. You should have a few options listed in case your primary option is also in an unsafe area. Additionally, all family members should be aware of your family’s evacuation plan. Everyone should be knowledgeable about the escape route that you have planned out. Pets must be considered. Most shelters only take service animals during a disaster. It is common for hundreds of family pets to be left displaced after a disaster because they had to be left behind. In order to avoid this, you should plan ahead to find a place where your pet will be safe (i.e. a shelter) or take them with you when you evacuate. Preparation: Prior to a disaster, you should have an emergency kit that holds the essentials for your family. Homeland Security suggests that an emergency kit should contain a fully-stocked first aid kit, non-perishable foods, water bottles, a flashlight, batteries, and more. It is a good idea to not let your car’s gas tank fall below the half-way mark, it is possible that you may not be able to fill up your tank at local gas stations. You and your family should have a few trial runs of your evacuation plan so that everyone is familiar with it. Communication: It may be difficult to contact your family during a disaster. Landlines are good to have in the event of an emergency as it isn’t likely that they will be down. Utilizing social media may also be an option, you can leave messages for your family as to your whereabouts and keep them updated. Sites like Facebook, allow you to mark yourself “safe” during a natural disaster. It may also be a good idea to have a contact that resides out of state. Your contact can relay messages to your family if you are unable to for any reason. They can also assure other family members that you are safe. Designate a family member or friend for this position early on, and make sure that your family has their number memorized as an important one. Finally, officials will likely give multiple updates regarding evacuation during a disaster. You should follow the directions of officials, immediately. They are the most informed about the disaster and their priority is keeping the public safe. House fires and carbon monoxide leaks are unique. In this event, you and your family must leave your home immediately and do not need to wait for officials to make that call. You will not need to consider whether or not you have a landline, your pet can stay with you, and an out-of-state contact is not necessary. Emergency services should be contacted as early as possible. As it is dangerous to enter a burning building, for any reason, waiting for the fire department to arrive is the safest option. At night, doors should be kept closed. It takes a fire nearly 15 minutes to burn through a wooden door and that time is crucial. Routinely check fire and carbon dioxide detectors. Replace batteries if needed. Stay low to the ground during a fire to avoid excess smoke inhalation. Test doorknobs for high temperatures when entering or exiting a room. You and your family should meet at the spot designated in your evacuation plan. Evacuation plans are one of the best ways to avoid panic and confusion during a disaster. They can help to keep your family safe by detailing the proper steps to be taken in a dangerous situation. Going the extra mile to come up with an evacuation plan could help to show you and your family’s commitment to safety during your home study. Finally, you will not be required to show any evacuation plans during your home study. However, you will be required to discuss fire escape plans with your social worker. 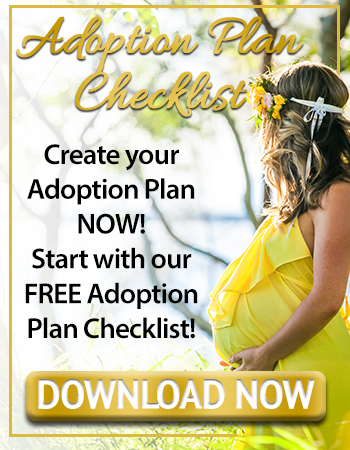 For more information on adoption or if you are currently in the process of adopting a baby and have any questions or concerns, feel free to contact Adoption Choices of Colorado. We can be reached via our website or by calling: 303-670-4401. Davina grew up in the outskirts of New York City, before eventually moving to Buffalo, New York at the age of 10. Her passion for adoption comes from her own experiences of being in foster care and being an adoptee herself. She hopes to help others to understand the intricacies of adoption and encourage them to consider it as an option. 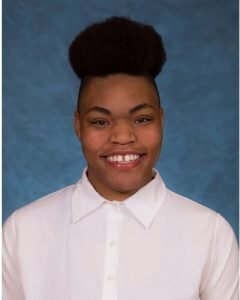 Davina is a proud Geneseo Knights alum having graduated in 2018. She has been writing for as long as she can remember and chose to pursue a degree in English with hopes of making her hobby a career. 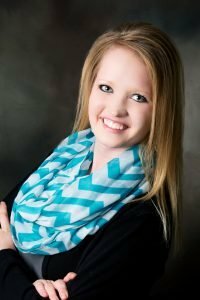 Thus far, she has enjoyed her time as an intern for Adoption Choices Inc. and looks forward to a bright future in writing. When she is not writing, she enjoys spending time with her family, building websites, and making lists.